This module aims to orientate you to the Schuitema Online Learning Academy and its user interface. This module aims to orientate you to the Schuitema Online Learning Academy and its user interface. In this module you will find general navigation guidelines, as well as some examples of lecture formats you can expect to find in our courses. Faique is a Human Excellence Consultant at Schuitema, a business transformation consultancy operating worldwide. Bsc. Actuarial Science., BCom. (Hons) Financial Planning, CFP, MCom. Business Management. ​What type of course is this? This is a self led online course. You will be taking part in group discussions, completing the online quiz for each section and an offline assignment. What methodology is used in the course? The course uses a base of Social Constructivism. In addition our activities are based on the principles of Andragogy and Bloom's taxonomy of learning and centre on the cognitive domain. The course relies heavily on group interaction and reflection. Since the content is focused on concepts and philosophical underpinnings of the Care and Growth Leadership model the activities require discussion and reflection. [PF1]Need a more formal description here. What are the course commitments? You are required to log in and complete short activities such as watching a YouTube video or posting to a forum discussion. These activities are designed to take no longer than 5 to 15 minutes per interaction. You are required to login frequently to complete the activities, download the reading material, watch the videos, participate in the discussions. You are potentially also expected to complete assignments that test your ability to apply you knowledge in the workplace. You are not required to purchase any text for the course. All materials are provided in the form of videos or PDF documents. Do I need to be doing the course at the same time as other members? The course uses an asynchronous design methodology. This means that no activity requires you to be online simultaneously with the facilitator and other members. This does not mean that the facilitator cannot connect with the student in real time. The purpose of the Care and Growth Applied Online Modules is to enable you to share your knowledge, gain new knowledge and skills and implement them in the workplace. It will allow for the content covered in the Care and Growth Orientation Module to be revised and reflected on through video and reading material as well as forum discussions. You will have access to video and written revision material. You will be required to complete an assignment, as well as a number of discussions and other activities. Each activity will list the what is expected of you. Course Activities - These are the potential activities that you may encounter on the course. Videos : You will be provided with knowledge material throughout the course in the form of videos. The videos are between 2 to 10 minutes. You are able to pause these videos and replay them at any time. Quizzes : These are multiple choice questions based on the material. Forum Activities : Forum activities consist of an initial question or statement followed up by a discussion. Forums enable you to express your opinion and to comment on the submissions of other delegates. These activities are very important, thus your participation and enthusiasm in engaging in the conversation is strongly encouraged. Please reflect on your submissions and replies before you write them. Assignments : These are activities which require you to apply the lesson in the workplace. It is important that you are provided with all the support you require to complete the course. 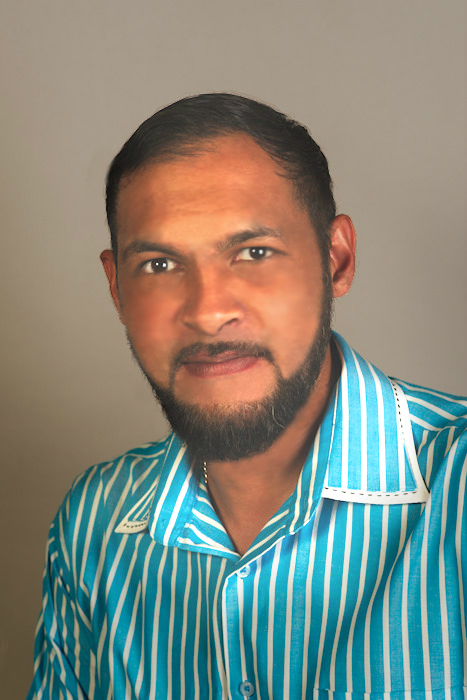 Faique Fakier is the administrator and support person on the course. Please don't hesitate to use the support forum located at the bottom of each course. This either emails the facilitator or starts a live chat. When in the main screen overview (Class Curriculum), you will find a tab (chat button) at the bottom right hand side of the screen, it will say "Leave a message" if your facilitator is offline and "Need Support?" if your facilitator is online.